Yet again it´s been a long time since I produced something for my scrapbooking album, and the blog. However it´s not entirely true since I have been busy with a few projects which have taken more time than I thought from the beginning. Those will surface in the near future but in the meantime here is an in between project and it features me and the big "Big Show", a mountain of a man. As you can see in the picture the Big Show is enormous. I am quite a big lad (but considerable smaller now since I have been working on that with good results after a summer with lots of rain, and food) but I nearly disappear beside him. Big Show beeing big and strong, and playing a heel character on the WWE RAW show one could be frightened of him but he was the gentlest giant (and the only giant) we have ever met. A real cool guy who was both funny and kind. Kudos to him! But the actual LO then! It´s easily explained because you can see where I was aiming. 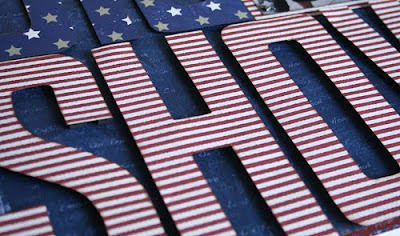 Big, american and a little show as well. Everything is of course drawn by me and then I cut templates with my trusty knife. 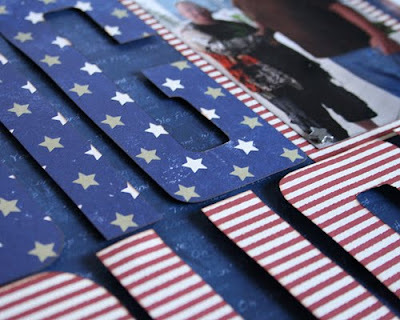 The B-I-G letters are mounted on 2 mm 3D-cushions and the S-H-O-W are mounted on 4 mm 3D-cushions to get a different height and some life in the LO. 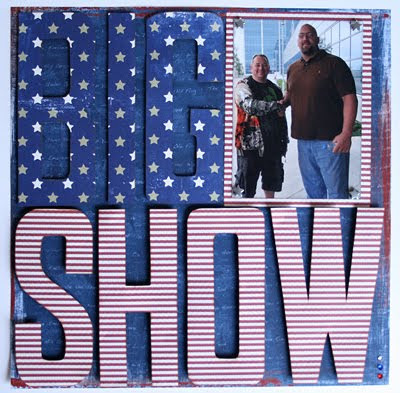 It is of course the American flag, the star spangled banner that has been my inspiration and the letters just had to be big considering the Big Show himself. And him beeing from the US and the US itself beeing a large and strong country, a perfect match. Cant tell you what make the papers are since I had to clean up quickly so I would not mix everything with the 4 LO´s I have in the making. Those will hopefully show up soon. And a closer close up! What about me? I'm just a regular guy who by mistake got stuck in the scrapbooking world. I blame my wife for this, since she lured me into this time- and money consuming hobby. I'm not complaining though. I mostly make layouts with my kids and wrestlers they have met but slowly I am drifting into trying other things as well. 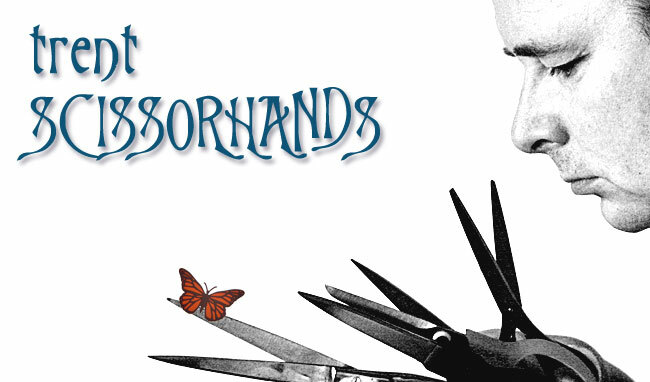 My favorite tools are the crafting knife and scissors, hence the title of this blog. I like to make my own embellishments and my own letters, so they come in handy then. I can't say that I have the skills of Edward, but the more I practice the better I get.